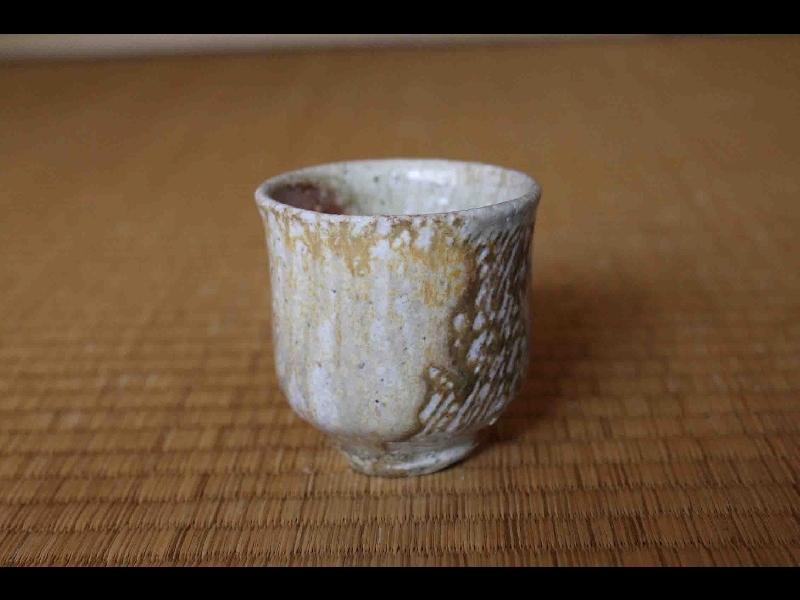 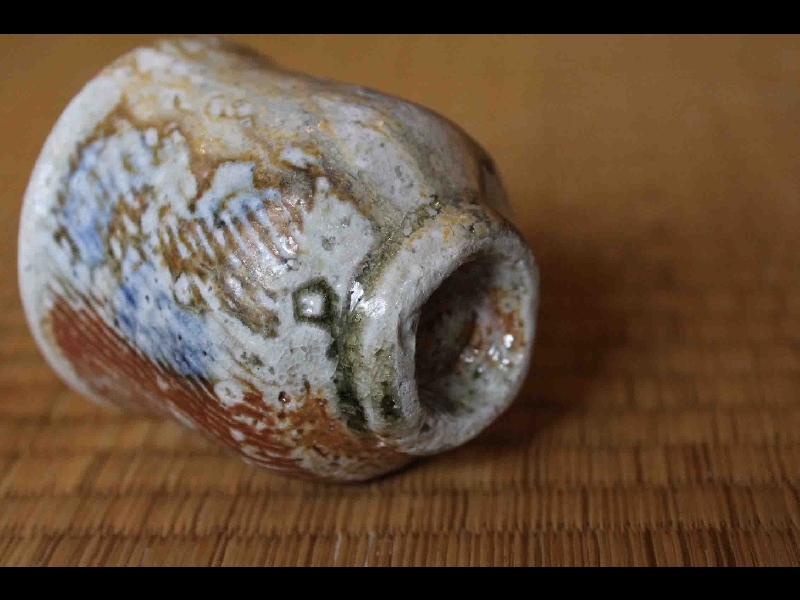 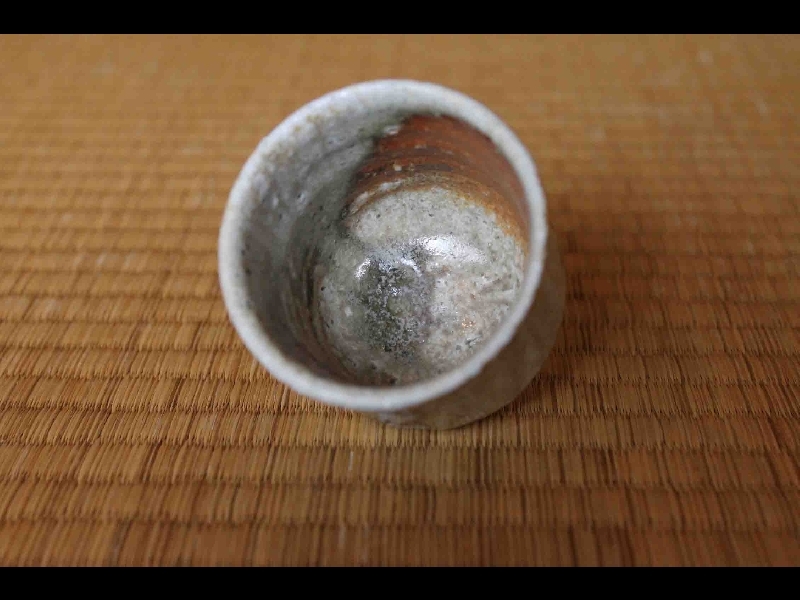 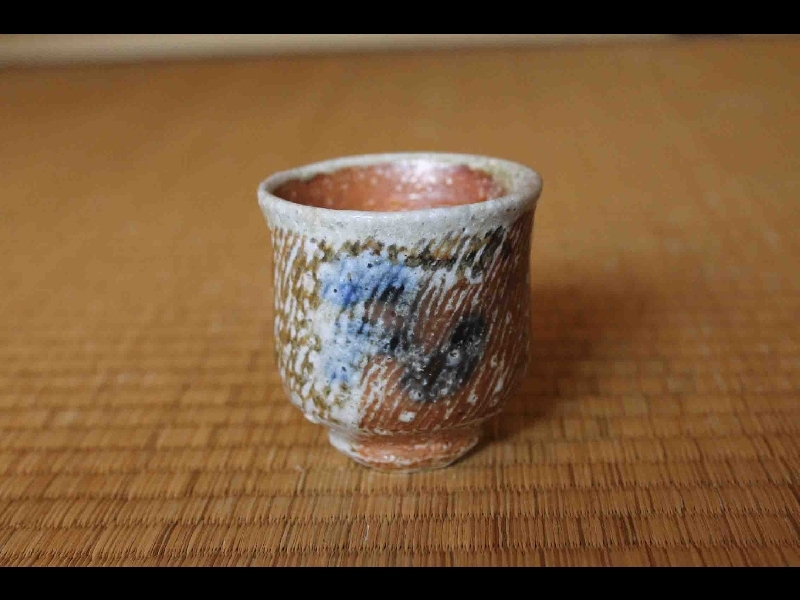 Here is a prized firing style from Living National Treasure Shimaoka Tatsuzo's (1919-2007) kiln; an ash-glazed-slight salt-fired Jomon guinomi-sake cup. 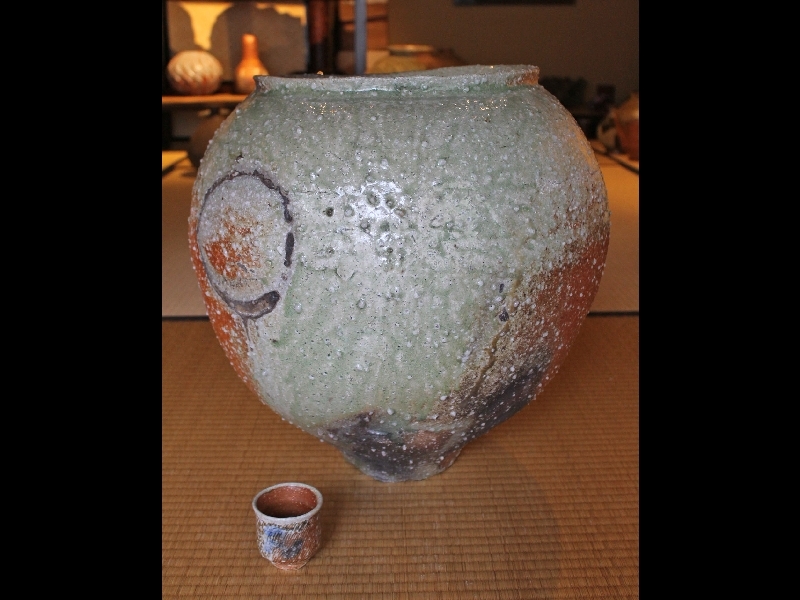 This style only comes from a very limited area in the kiln and only a few smaller pieces are fired in any one kiln. 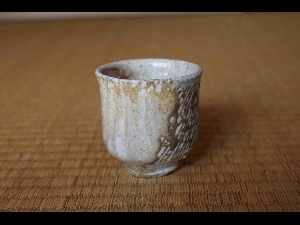 In perfect condition with a signed box, 6.5cm.tallx6cm., stamped on base and dating to 1994. 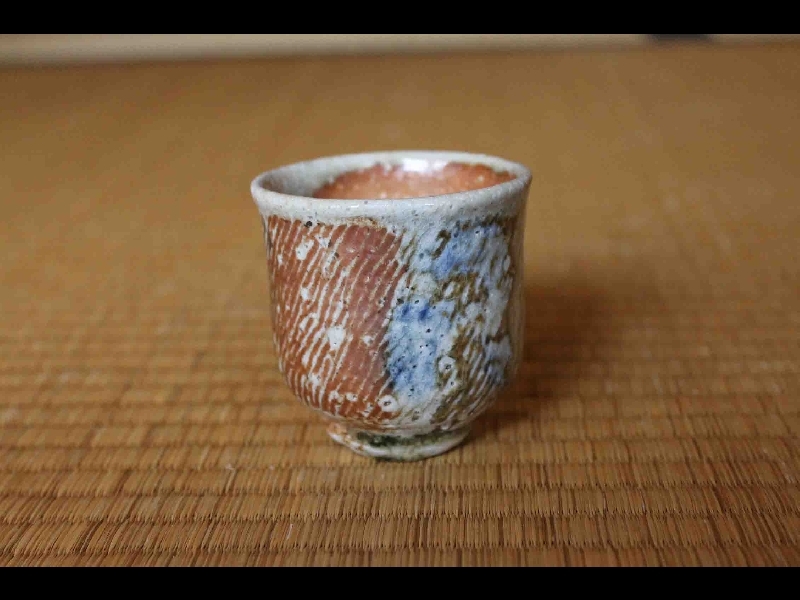 EMS delivery included.